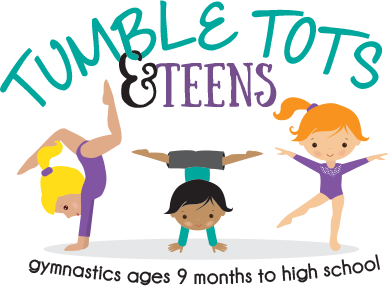 Tumble Clinics will be every 1st & 3rd Friday of every month at 4pm-5pm and 5pm-6pm for any member ages 5 and up interested in getting some extra work on their tumbling skills. Sign-up is required by noon on day of clinic. Please go onto our parent portal weekly to enroll your child. Clinics are $15 for 1 or $25 for both. *Must have at least 5 students enrolled to have clinics. Open Gym will be every 2nd & 4th Friday of every month from 6pm-7:30pm for any member interested in getting some extra work on their gymnastics skills. This can also be used as a makeup class. Sign-up is required by noon on day of open gym. Please go onto our parent portal weekly to enroll your child. The cost of open gym is $12. If you have missed a class in the last 30 days this can be used as a makeup class. *Must have at least 5 students enrolled to hold open gym. Reminder open gym is a time to work on skills with a supervised instructor. This will be a non-structured class. There is an annual registration fee of $35 for all members. The family registration fee is $60. Tuition is due on the 1st of each month. If your tuition is not paid by the 10th, a $10.00 late fee will be added to your account. If your account is not up to date by the 15th of the month, your child will not be able to participate in class until the balance is paid. If late payments continue, you will be required to put a debit card on file. Students are learning routines for our gold medal ceremonies now. Gold Medal ceremonies will be held during the week of May 20th – May 25th. Olympic Ceremony schedule assignments have been made. Please contact the us to reschedule your gold medal ceremony time if your assigned time does not work for you. All enrolled students will receive a medal for their hard work throughout the year. More details to come on April 8th. Please log on to your parent portal and accept all new Rules and Policies. If we sent you an email you need to log on and accept these policies. Also update any information on your account. If you do not know how to log on to your parent portal, please see us in the office. We will give you the tablet to log in and read and accept them or we can get your account set up for you. Rules and policies need to be accepted by the week of Gold Medal Ceremonies on May 20.